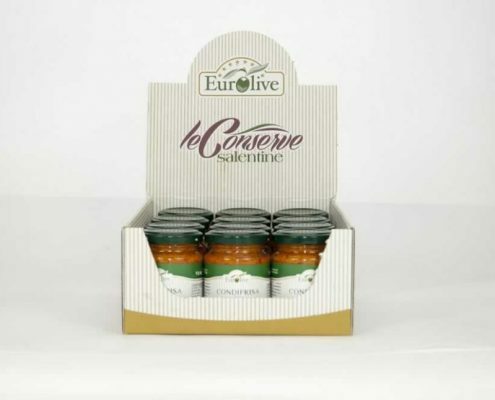 Our products, for the final consumers and for the food service and industrial range. 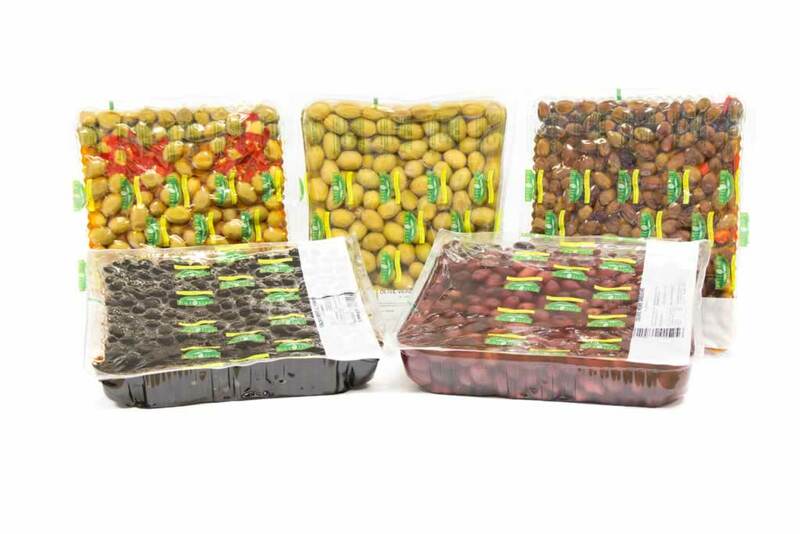 Our whole range of products is available in small sized, handy and ready to use packages. 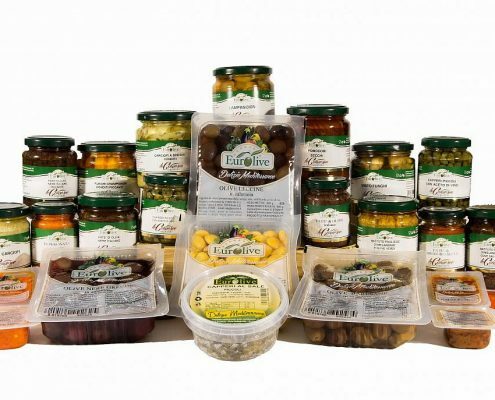 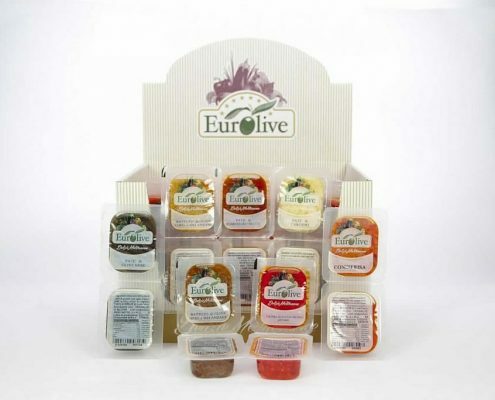 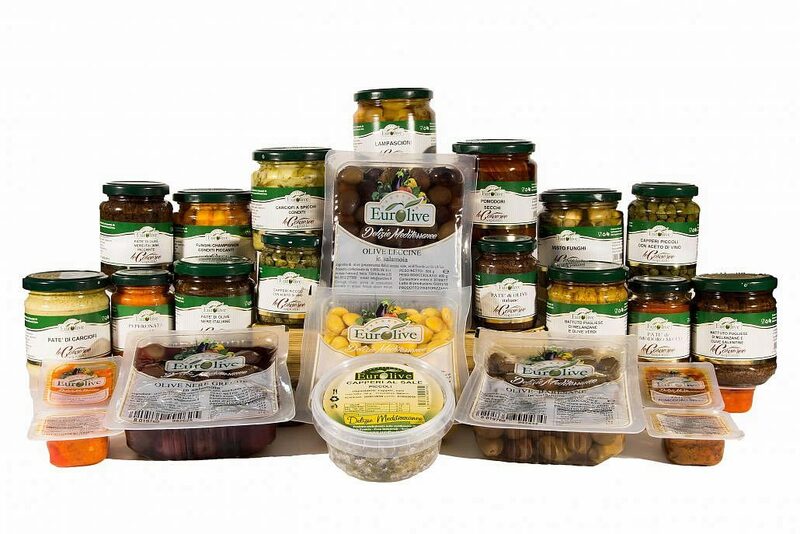 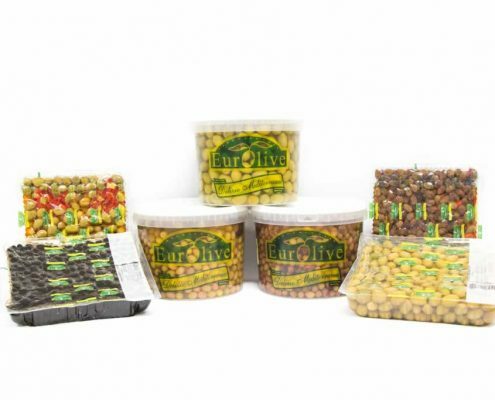 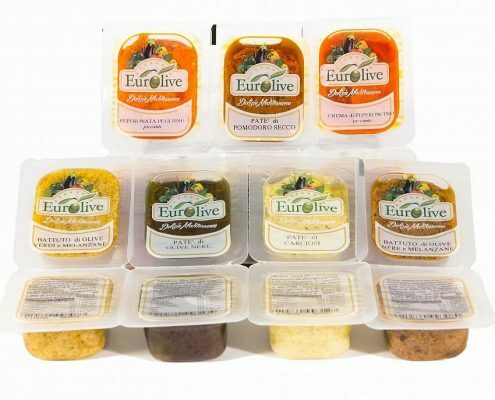 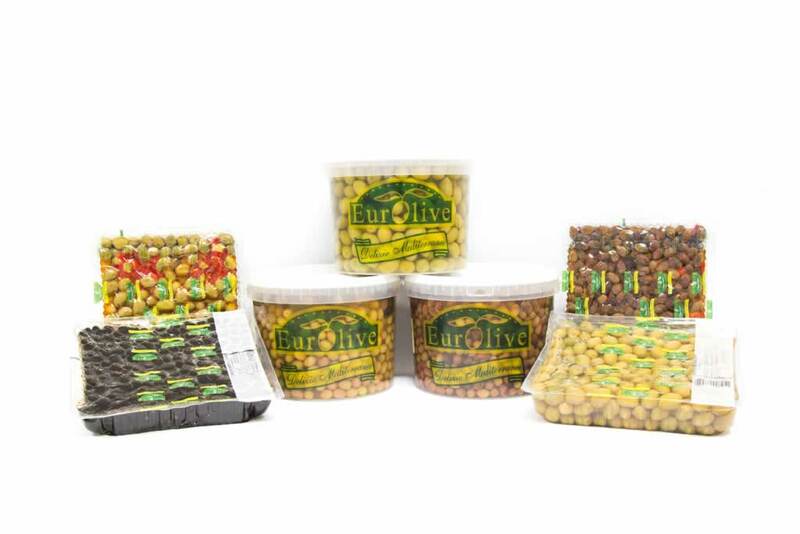 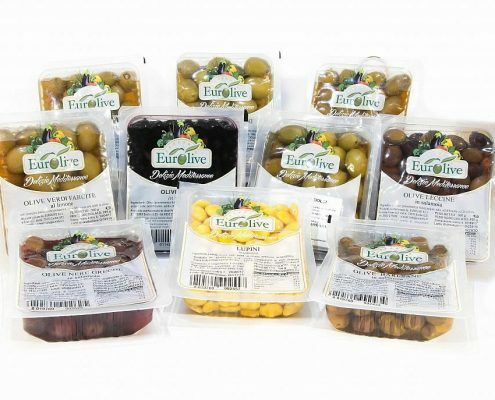 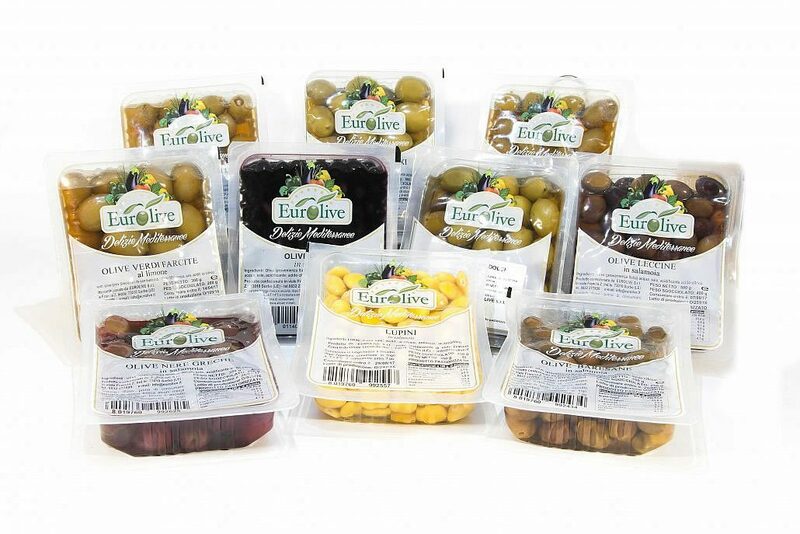 Each variety of olives, both in brine and sunflower oil, is available in 250 g or 400 g ready to use plastic trays. 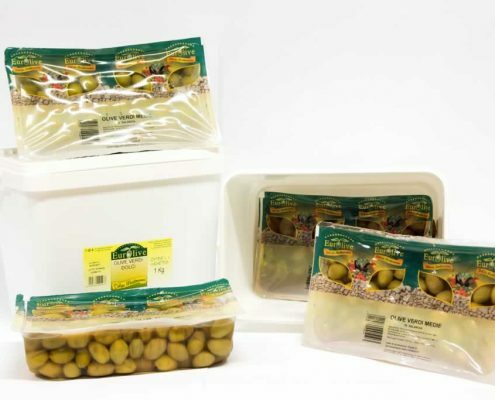 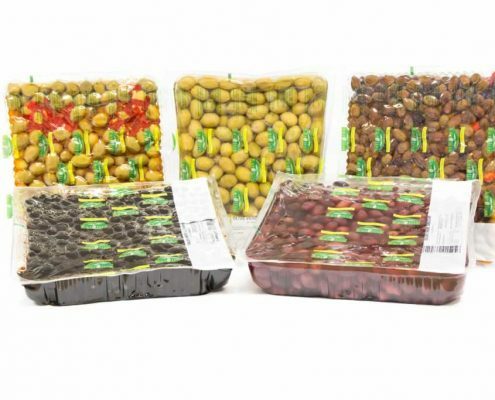 It is also possible to package olives in single dose plastic trays (2×50 g). 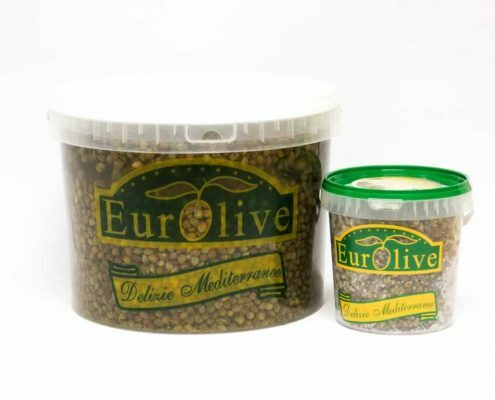 Different sizes of capers are available in 314 g, 212 g or 90 g glass jars (capers in wine vinegar) and in 150 g plastic bucket (capers in salt). 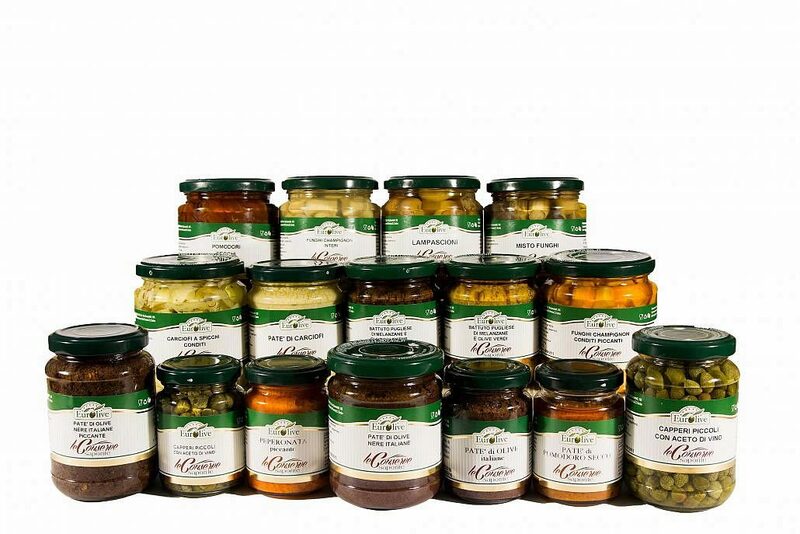 Vegetables in oil are packaged in 200 g or 300 g glass jars. 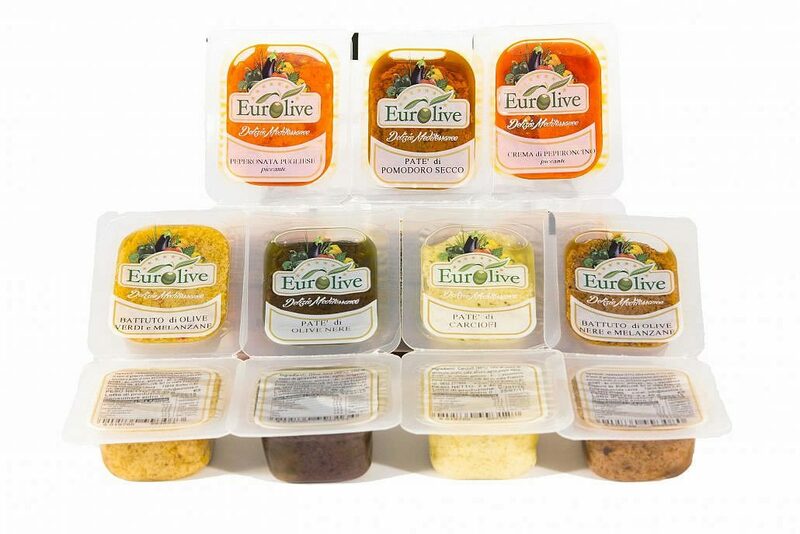 Pâtés, creams and minces are also available in the newly introduced single dose packages: 90 g glass jar or 2×40 g plastic trays. 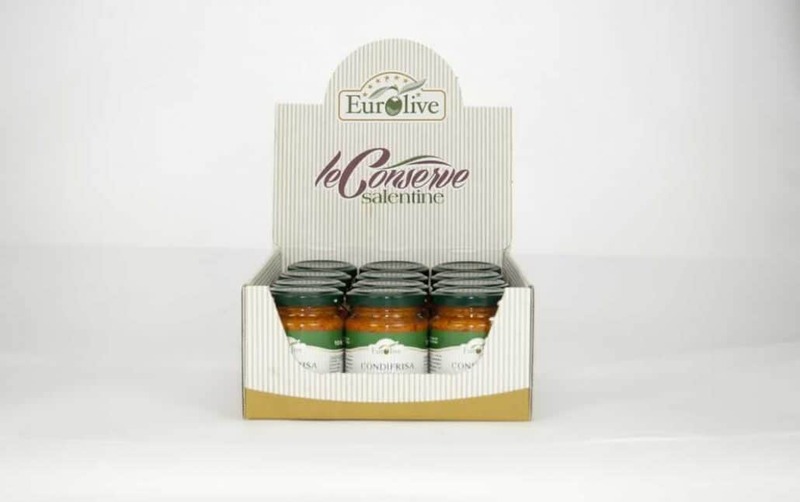 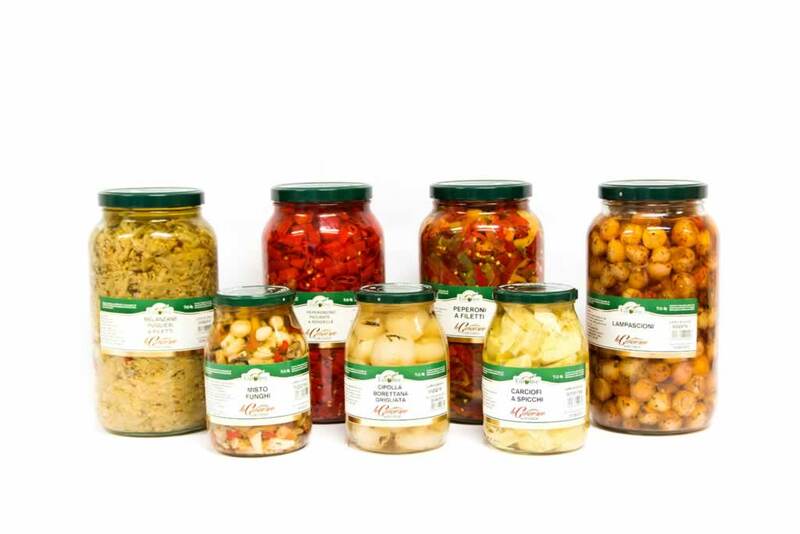 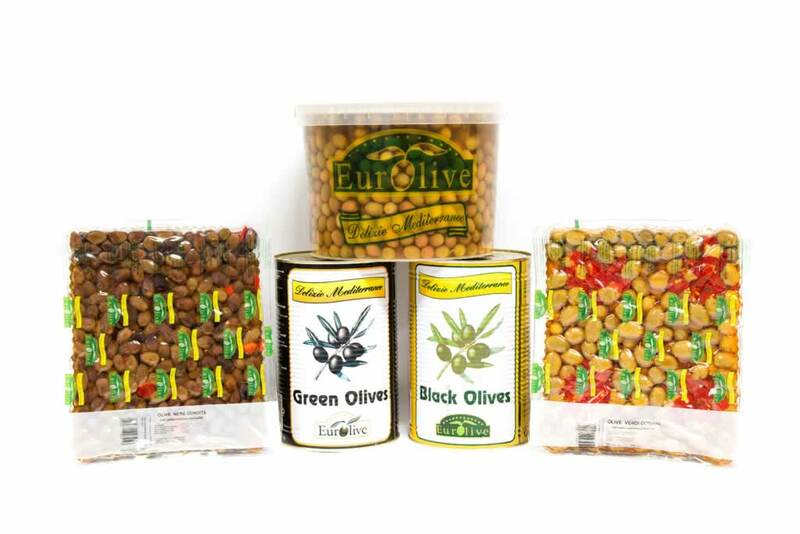 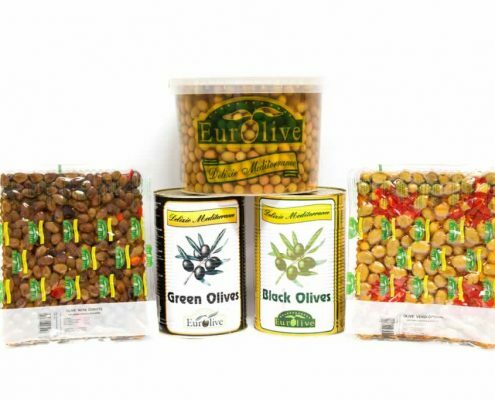 With respect to food service, our whole range of olives (both in brine and sunflower oil) is available in 5 kg plastic buckets, 2.5 kg pasteurized tins and plastic trays ranging from 1 to 2.5 kg. 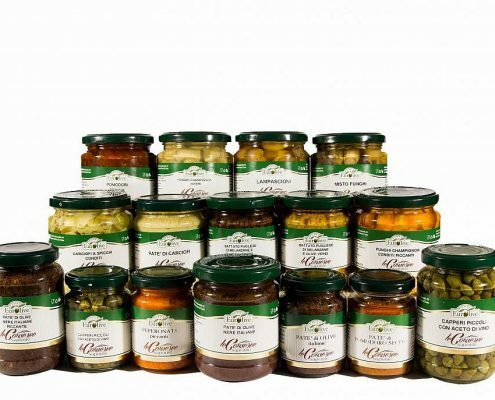 Capers in brine are available in 6 or 12 kg plastic bucket, while those in wine vinegar are packaged in 1 or 3 kg glass jars. 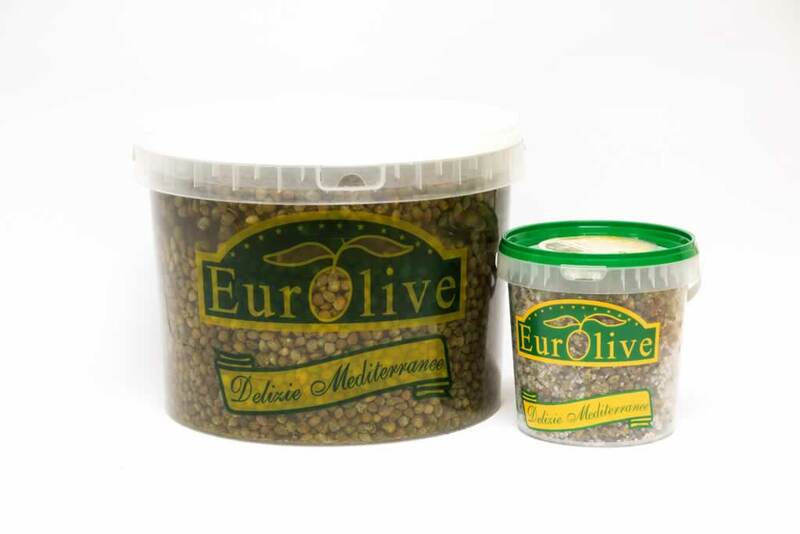 Capers in salt are available in 1 kg plastic buckets. 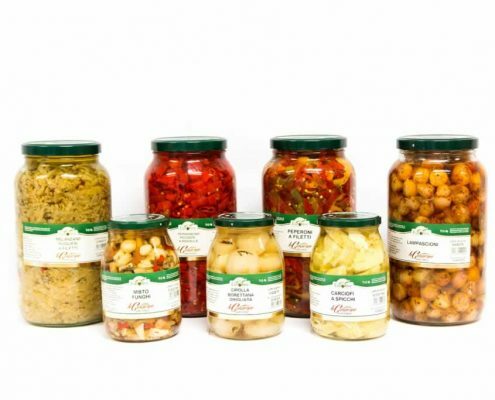 Vegetables in oil are available in 1 or 3 kg glass jars. 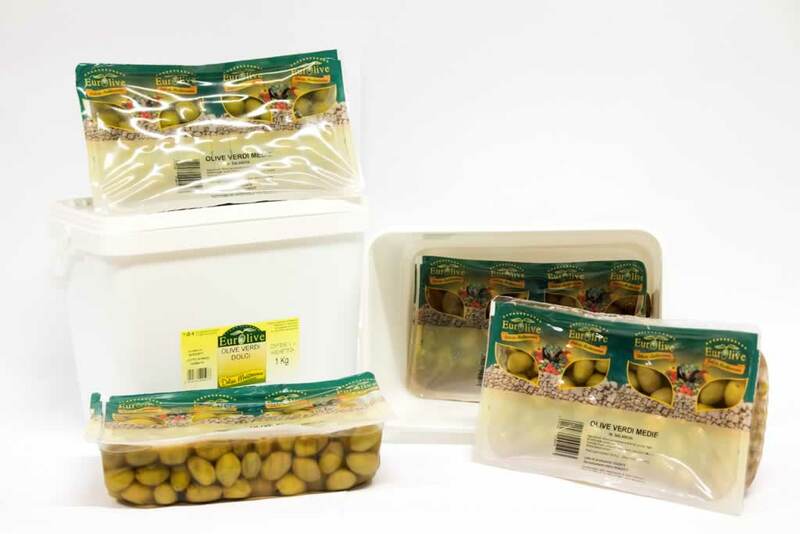 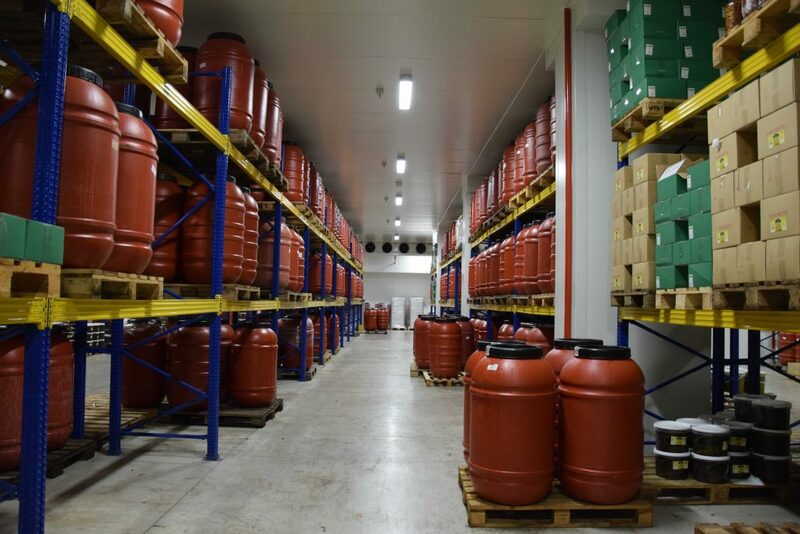 Olives, capers and vegetables in brine are also available in 130 and 150 kg plastic barrels.